I've been making birthday cakes for my girls since they were born. 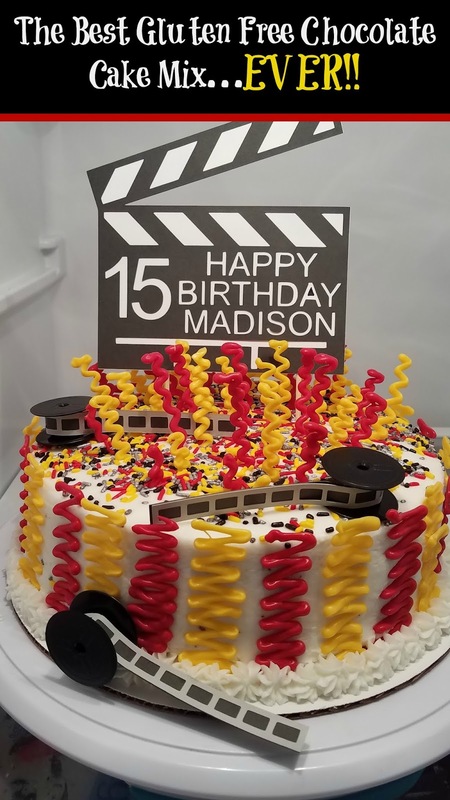 Each year is a new theme to go along with their age. This year was a little trickier than usual. You see, my oldest daughter has been gluten free since last summer. Trying to find a good gluten free cake recipe or mix has been a struggle...UNTIL NOW!! I found the most amazing cake mix and just had to share with you. 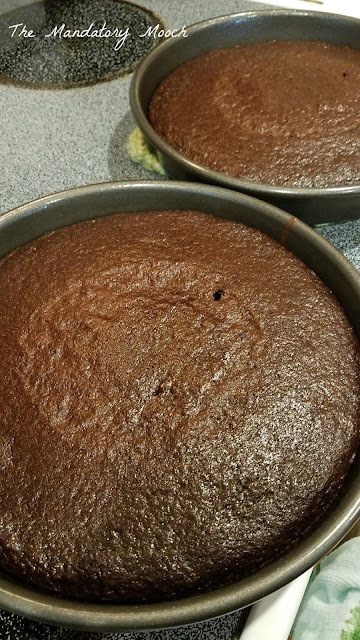 It is Jessica's Natural Foods chocolate cake mix. My whole family was in denial that it was gluten free after tasting it. 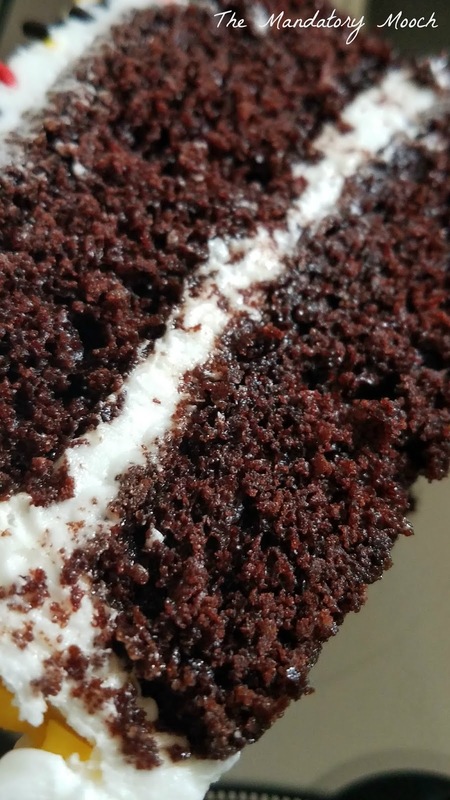 It is a moist rich cake with no gritty after taste. The smile on my daughter's face was priceless when she tried it. We will be using this product for many events in the future. Plus, I sliced the leftover cake and froze it individually for her to eat later. Perfection!! 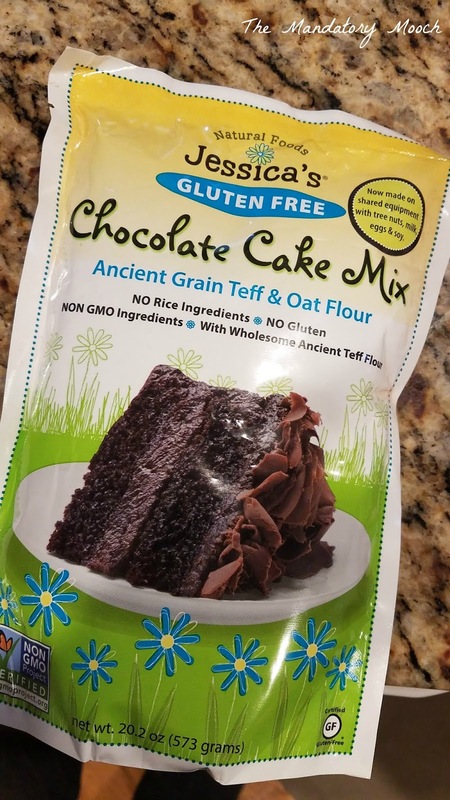 So, if you need a gluten free cake mix or treat, give this one a try. You won't be disappointed. 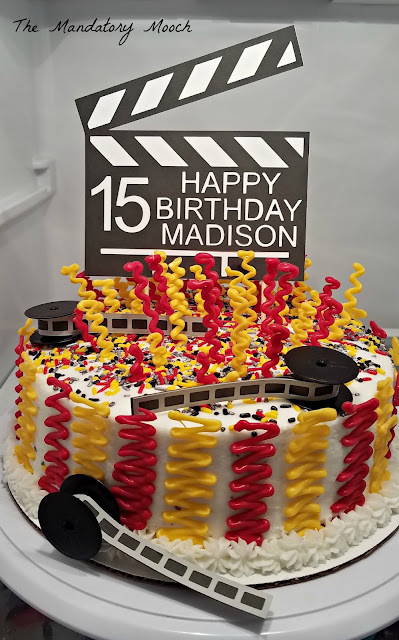 I made her a video/movie themed cake because she has been interested in that field lately. It was fun to create something she loved and something she could eat!